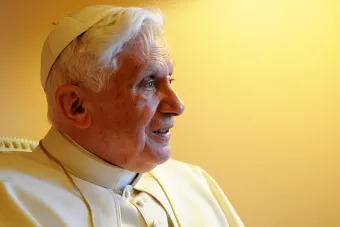 Rome, Italy, Apr 16, 2018 / 10:25 am (CNA/EWTN News).- Benedict XVI turned 91 on Monday, celebrating “with his brother Georg in a calm and familiar climate,” according to a Vatican statement. Pope Francis offered Mass in the morning for Benedict XVI, and sent him a greeting afterward, the Vatican said. Benedict XVI was pope from 2005 to 2013. He shocked the world when he announced his resignation Feb. 11, 2013, citing advanced age and declining strength. On Feb. 28, he stepped down from the papacy. A conclave was called to name his successor, and on March 13, 2013, Pope Francis was elected. 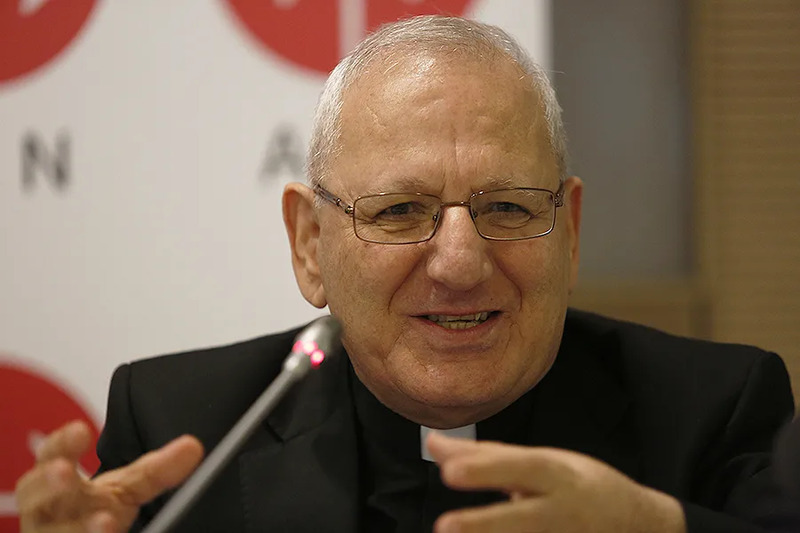 Rome, Italy, Jun 27, 2018 / 02:13 pm (CNA/EWTN News).- Referencing being nominated a cardinal, sometimes called “princes of the Church,” Chaldean Patriarch Louis Raphael I Sako of Babylon said he thinks of himself only as a father, pastor, and servant. “I say to the [Iraqi] people: I am a father, a pastor – not a prince,” the head of the Chaldean Catholic Church said to journalists June 27, one day ahead of the ordinary consistory which will create 14 new cardinals, including the patriarch. 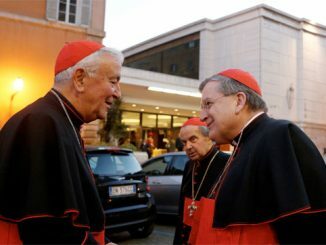 “As the Father asks us: we are servants, we should serve… with the joy of the people,” he said, noting in an earlier interview with EWTN News Nightly that patriarchs, like cardinals, also wear a red cassock, which symbolizes a willingness to die for the faith. Sako was born July 4, 1948 in Zakho, Iraq. He was ordained a priest of the Chaldean Archeparchy of Mosul in 1974. In 2002 he was selected as Chaldean Archbishop of Kirkuk, and was confirmed and consecrated bishop in 2003. While Archbishop of Kirkuk, he served, from 2010, as the last apostolic administrator of the Chaldrean Eparchy of Sulaimaniya, until the see was suppressed in 2013. He was selected and confirmed as Chaldean Patriarch of Babylon and Archbishop of Baghdad in 2013. In 2008 and 2010 he was awarded the Defensor Fidei and international Pax Christi awards. He has been vocal about the importance of disestablishing Islam in Iraq, to create an equal ground for all Iraqi citizens, especially Christians and other minorities, and has preached the need for mutual respect and cooperation between Muslims and Christians in the country. The patriarch has also expressed concern at the exodus of Christians from Iraq since 2003 US-led invasion of Iraq. Patriarch Sako will be the first Chaldean patriarch who may be able to vote in a papal conclave. His predecessor, Cardinal Emmanuel III Delly, was not elevated to cardinal until shortly after his 80th birthday. Sako also noted that he received calls and visits of congratulation upon the publication of the news, not only from Christians, but from many Muslims and many of the country’s leaders, including President Fuad Masum and Prime Minister Haider al-Abadi. Though many believe the future of Christians in Iraq is bleak, the patriarch was confident things will improve, saying he is “convinced that the future will be much better than now” and that someday there will be complete freedom of conscience. 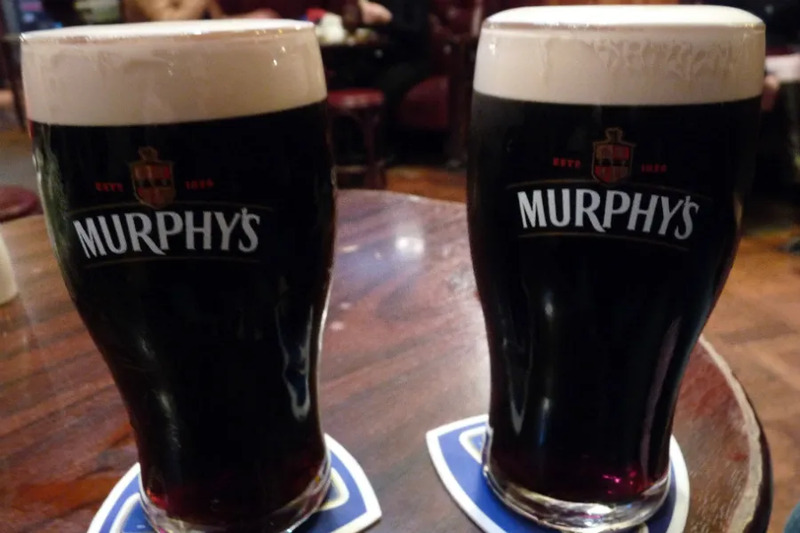 Dublin, Ireland, Jan 26, 2018 / 03:34 pm (CNA/EWTN News).- Pubs in the Republic of Ireland will now be allowed to sell alcohol on Good Friday, after the lower house of the Irish legislature voted in favor of the measure on Thursday. The bill had passed the upper house in July 2017, and is expected to be signed shortly by President Michael Higgins. The bill has widespread support, with a few members of parliament opposing it because of their support for bills meant to combat the overconsumption of alchohol. “Taking all these factors into consideration the Government considered that it was an opportune time to have an examination of the Good Friday restrictions,” he stated. The sale of alcohol had been prohibited by a 1927 law which also banned its sale on Christmas and St. Patrick’s Day. The ban on St. Patrick’s Day was lifted in the 1960s or ’70s, though that on Christmas Day remains. In Northern Ireland, part of the United Kingdom, pubs can only serve alcohol between 5pm and 11pm on Good Friday. The territory also has restrictions on the serving of alcohol on Holy Thursday and Holy Saturday. Dublin, Ireland, Mar 21, 2019 / 01:22 pm (CNA).- The Irish Bishops’ Conference has objected to job requirements mandating that certain consultant doctors be willing to participate in abortions, saying that the country’s new abortion law had promised to safeguard conscience rights for medical professionals. “This precondition runs totally counter to a doctor’s constitutional and human right to freedom of conscience,” said the bishops, according to Irish Catholic. “This totally undermines the whole concept of freedom of conscience which was guaranteed in the recent legislation,” they added. The bishops’ conference said these preconditions may rule out the best possible person for the job by eliminating candidates solely because they are unwilling to perform abortions. “A doctor who is eminently qualified to work as a consultant in these fields is denied employment in these roles because of his/her conscience,” said the bishops, according to RTE. “Doctors who are pro-life and who may have spent over a decade training in these areas and who may otherwise be the best candidate for these positions are now advised that, should they apply, they would not be eligible for consideration,” they said. “They are therefore for individuals willing to contribute to the provision of these services. Other past and future posts are not affected. The conscientious objection guidelines for staff in both hospitals remain unchanged,” the spokesman said, according to RTE. The majority of the country’s 2,500 general practitioners (GP) are unwilling to perform abortions. Only between 4 and 6 percent of GPs have said they would participate in the procedure. The nation’s bishops recommitted themselves to helping pregnant women find the resources they need and educating those interested in apologetics defending life. To further these goals, the bishops have created a new Council for Life, led by Bishop Kevin Doran of Elphin. “The council will give priority to exploring how best, in the current socio-cultural context, the Catholic community can offer practical support to women in crisis pregnancy, giving their unborn babies the best chance at life,” Bishop Doran said, according to Irish Catholic.